In today's global market, diversity in the workplace has transformed from a desirable attribute to a business necessity. Does your company have the right people to expand their business? Read more to discover how to find, hire and retain diverse talent at your company. Diversity in the workplace has transformed from a desirable attribute to pertinent asset for success. As the global market and workforce evolve, companies with diversity as a pillar are proving fortitude because their unique access to fresh ideas and open-minded communication. There are endless benefits to hiring a diverse staff, including increased revenue potential, and eclectic company culture and innovation. Despite this, many companies do not fully understand how to find, hire and retain diverse talent in their company. 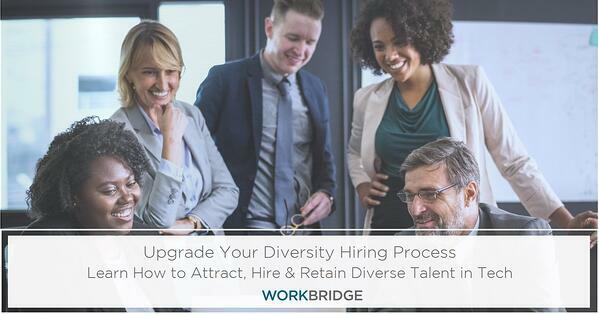 Keep reading to learn how to attract and manage diverse candidates into your talent pipeline. 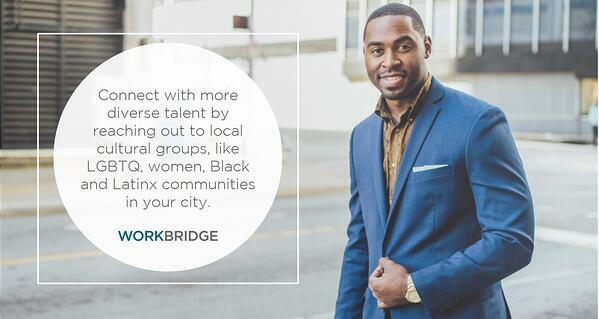 You can find talented, diverse hires in every city – if you know how to source them. LinkedIn's custom filter tool allows you to refine your search to find diverse talent from national and local universities. To source local, diverse talent, create a filtered list of schools that are women’s colleges, or specific diversity and cultural groups in your city. Joining specific diversity groups on LinkedIn allows you to broaden your reach to a concentrated field of talent, like Black Enterprise Networked, Latino Professionals for America, and Society of Women Engineers. Beyond increased outreach, hiring managers can cast a wider net to increase web response by omitting gender-biased language. Statistically, men will apply to a job if they meet 50% of qualifications, whereas women will only apply if they feel 100% qualified. To help get more inbound applications, limit masculine wording to attract more females to apply to your job postings. Tools like Textio, a website that allows you to identify all words and phrases with gender bias, can help you write more neutral job posts. To successfully recruit diverse talent, all candidates must feel completely welcome from their first point of communication with the company, and through their last day of employment. If you successfully communicate and maintain a welcoming and open environment where they can learn, grow and contribute meaningful work, you'll have your pick of top talent. The first crucial step, is to remove all bias starting with the first interaction -- especially toward race, religion, gender, and sexual orientation. 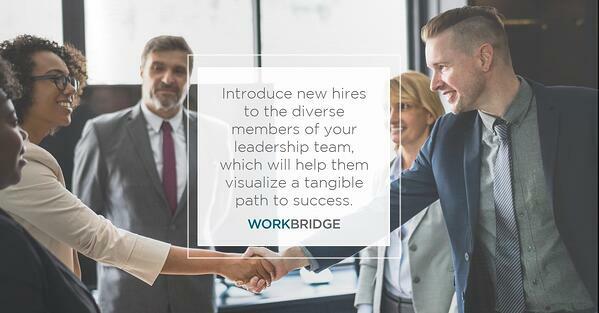 The second step is to paint a picture of success for prospective hires, emphasizing the mutual benefits of bringing more diverse candidates onto the team. A candidate needs to be able to visualize how they will fit in, and succeed, in their new role. Third, to attract diverse talent, showcase diverse senior leadership. Prospective hires need to see that they have an equal – and tangible – opportunities to grow into to leadership positions. In addition to working with your leadership team to attract a diverse hiring pool, these diverse leaders are also valuable for fostering the sense of community and inclusion -- a vital key to increasing retention. For all new hires, it’s important to check in with them regularly to help ensure each new additional feels welcome with the company and culture. It’s easy to forget about an employee’s personal comfort in business, leaving many at risk of feeling neglected. But specifically for your existing diverse tech talent, you can develop diversity-friendly programs that focus on mentorship, training, and ongoing support initiatives that pave a smooth road to job satisfaction. Nothing encourages an employee more than realizing the potential for career growth within their company. Seek out talented diverse individuals and focus your attention on growing them to their full potential. More importantly, listen to their opinions and business development ideas. Demonstrating that you value an employee's opinion fosters an open flow of communication, encouraging them to feel comfortable speaking openly with you. Do you feel like you belong to your team? If something bad happens at work do you feel safe reporting it? Do you feel that someone in the workplace cares about you? This gives employers a sense of where their employees are at in terms of safety and comfort and allows management to make the changes they need to create an inclusive environment in the office. Furthermore, it promotes your company’s branding and image. Overall, employing diverse individuals adds an element of progressive-thinking to your company branding and image. Retaining diverse talent is conducive to the development and success of your business and work culture. Let your office mirror the environment you want to establish and let management mirror the people you want to attract.